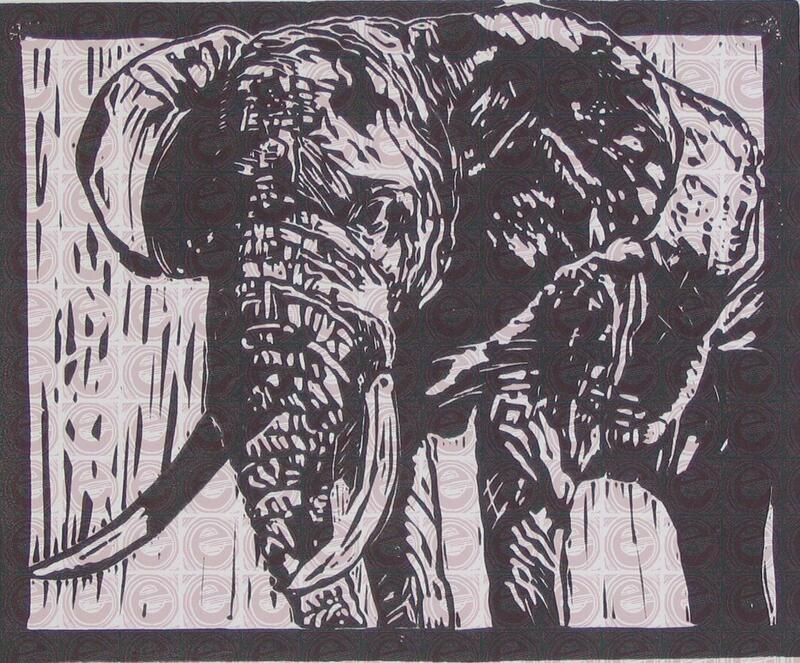 Works in all media by artists from Virgina, Maryland and Washington, D.C.
Two of Elizabeth's relief prints were accepted into the April Regional Artists Show which will have its opening on First Friday, April 6 at FCCA from 6-8 pm. "Flower Show," recently won second place in Printmaking at the Fredericksburg Fine Arts Show. Also showing is "Ponderous Pachyderm." Oil and acrylic artist, Carol Josefiak, will also be opening a wonderful show downstairs in the members gallery. Come join us downtown for the monthly "art crawl." You'll find good friends, good food and good fun!